Whenever a study is performed on covered call writing a stock is selected and the nearest out-of-the-money (O-T-M) strike is sold. This is repeated over and over and then the results are compared to the overall market performance. The usual conclusion is that covered call writing slightly outperforms the overall market but with much less volatility. What too many analysts overlook is the fact that the O-T-M strike has its advantages and disadvantages and to use it to our greatest advantage we must explore and understand the circumstances as to when to use this strike and when to avoid it. This strike has a low delta (amount an option value changes in relation to a $1 change in stock price). If the stock drops in value, the corresponding option will not change as much, thereby making it more expensive to buy back the option for an exit strategy. I-T-M strikes have the highest deltas. O-T-M strikes have an important place in our portfolios. Those with greater risk tolerance will tend to use them more than those with less. No matter who is writing these calls, they must be used to our greatest advantage. Select the strongest stocks in the strongest industries that have been uptrending with low implied volatility (avoid violent whipsaws on the charts). When constructing your portfolio for the month you can mix or ladder your strikes using a higher percentage of these O-T-M strikes the more bullish you are on the market and decreasing that percentage if you turn bearish. By doing so we are not guaranteeing success but dramatically throwing the odds in our favor of winning more frequently than losing. Some investors will do a combination of covered call writes and long stock ownership in a strong bull market. For example, if you own 300 shares of company XYZ you may sell two O-T-M strikes and allow the remaining 100 shares to appreciate without the restriction of a call option obligation. On Friday, the Conference Board reported that the index of leading economic indicators rose 1.1% in November and accelerated to an annual rate of 8.6% the past 3 months. The FOMC confirmed that it will continue to purchase $600 billion in Treasuries by the 2nd quarter of 2011 to help prevent deflation and assist with the economic recovery. Retail sales rose for the 5th consecutive month in November at a better-than-expected rate. New home construction starts rose 3.9% in November, higher than anticipated and the October rate was revised upward. BCI: Moderately bullish but taking a slightly more defensive posture due to the market appreciation noted above. Currently selling an equal number of O-T-M and I-T-M strikes. I noticed that on the premium list rvbd has a higher beta number than many of the other stocks. This helps explain the higher option return I’ve been getting with this stock. It’s all coming together and making more sense. More volatile stocks give higher returns but could be riskier investments. I never paid much attention to the beta column before but will from now on. – A down trend line beginning with the Oct 14 swing high (5 touches). The downtrend line combined with support at $10 displays a descending triangle. Historically, this is a down trending pattern. – The Bollinger Bands are constricting meaning that there will be a breakout in the near term. That, combined with the descending triangle would indicate a breakdown is likely. – The price chart is stacked down, meaning that the price is below the 5EMA, 20EMA, 50SMA, 100EMA, and 200SMA. – IBD’s Smart Select Ratings are not all green per the BCI system (3 red, 2 green, and 1 yellow). – IBD’s Industry Ranking is 170 out of 197. – The MACD is slightly above the signal line and the Slow Stochastics is slightly below it’s signal line. So, if you are following a “pure” BCI methodology, it doesn’t meet the systems requirements. The descending triangle chart pattern combined with the constricting Boll Bands would cause me personal worry because I tend to be VERY conservative. I wanted to give you another point of view so you can make a better decision. If the stock closes below 10 dollars at expiration I am free to sell another call (provided there is no earnings the next month. This will once again lower the cost basis. Heres an example with FUQI which I incorrectly bought at 7.40. Fuqi is now trading at 6.37. Musings (only) on Market Tone. Alan, you add a breath of fresh air to what is being written these days by economists. But the big, and I mean huge, concern in our country, IMHO, is the massive printing of dollars – evidenced by the QE (quantative easing, they call it) which makes investing troublesome. Inflation is coming. However, in spite of these factors and others, to NOT invest these days is probably unthinkable. With all this in mind, I have done quite well in the precious metals mining shares combined with cc writing. So far I can say I do not recall a loss ever in this vein. My losses have been in the general market, non-metals. I learned years ago that the Congressmen & Senators of the USA were said to be large owners of gold mining shares during the time that gold was declared illegal by FDR during the great depression of the 1930s. This is also part of my thinking. As an investment tool, asking ones-self WHAT IF is valid in many ways. Alan, your system for doing due diligence (ddd) has been a serious learning experience for me. Hi Alan, interesting upcoming change in the IBD 100, will be the IBD 50 on January 3rd. Look forward to see what impact it has on the BCI screening for CC’s, in coming weeks. Merry Christmas to you, Linda and the BCI team!!! My shares of tibx were assigned this weekend as I made a nice 4.2% profit. It reports tomorrow and I plan to buy it back later this week if the earnings report is positive. A question about the weekly stock screen list. The column that has seqment rank (ie tibx, software, A/A) Shouldn’t all stocks in the software industry segment have A/A for segment rank? For example, Rovi is in the same industry segment (software) as tibx but has C/C for segment rank. What am I missing? There are other examples of this throughout. Did anybody see the IV of CCE ??? I have never seen something like that. We use the IBD100 industry rank system. There are 197 individual industry segments represented in that metric. What we’re tried to do is simplify the process by ranking the segments into A through E.
Within each industry there are can be multiple segments with the same description. In the case of software, there can be enterprise software, design software, consumer software, etc. The key idea that we’re trying to present is the relative direction of the movement of the segment week over week. This is a good proxy for sector rotation. While there may be multiple industries represented by “software”, we attempt to simplify the process so the average subscriber can easily do the proper diversification. The specific segment differences are less important than broad diversification. At some point in the near future the IBD 100 will become the IBD 50 so the paper and website will publish only the elite stocks from this screen. We are currently analyzing how this will impact the number of stocks on our premium watch list and have plans in place to give our members an adequate list of covered call candidates each and every week. We will keep you updated as our analysis continues. When a stat appears too good to be true or unrealistic it usually is. CCE recently distributed a one-time special dividend of $10 per share. The $17.50 strike should be viewed as a $7.50 strike. Evidently your resource calculated the IV of CCE based on a $17.50 strike. The original $17.50 strikes are now $7.50 strikes due to this special dividend distribution. Thanks Alan, that explains it! I looked at the option symbol and it did not follow the standard procedure. There was one 1 too many. And the unrealistically high strike price was puzzling me. PZI, one of our top performing ETFs does not show any options. PZI: You are correct. No options available. Thanks. I will have my team remove this security from next week’s report. As the kids say….”my bad”! CCE: Yes same deal as GES from last week. *All the smart select are green. *There is no up coming ER release in this month. *The price bars are above an uptrending EMA 20. The only negatives that I can see are the following. * The MACD and slow stachastics are both down trending. *There have been 3 bearish engulfing patterns in the last month, including the last 2 days. Even so, im considering selling an ITM call. *If we sold the 35 call we would have a ROO of 5.1% with downside protection of 0.9%. *If we sold the 34 call we would have a ROO of 3.9% with downside protection of 3.8%. *If we sold the 32.50 call we would have a ROO of 2.7% with downside protection of 8%. Those who went out of the money and sold the 36 call would have a ROO of 4.5% with upside potential of 1.9%. In my opinion, based on the overall technical picture at this current time, the best deal would be to sell the 34 call. Blame that one on silly season! I own 1000 shares of ibm that I’m willing to let go for 150. I just sold 10 contracts of the 150 call for 1.05 making nearly 1000. If it goes off I’m okay with that. If not, I’ll keep selling the options. Happy holidays and good luck trading. On November 24th this company reported a positve earnings surprise of 43%. Net sales were up 12% year-over-year. Income from continuing operations rose 46%. As a result, management significantly raised guidance as did many analysts. TIF also rewards it s shareholders with a 1.6% dividend. To show its confidence in its business, this company spent $25M to repurchase 588,000 shares. It trades at a reasonable PEG ratio of 1.5. Check to see if this equity deserves a place on your watch list. What is a good strategic approach to the following? I own 200 shares of FCX, bot at 114.77. At the moment I have no options on the shares. Forthcoming events are: 2 for 1 split announce 12/9, record 1/15. Happening, I believe, 2/1. A one-time dividend of 1.00 went Ex on 12/16, with Record 12/20, and pay 12/30. Its ER takes place on 1/20. Unsure of whether or not to write Calls on it, and if so, just when! I am quite bullish the stock (copper mainly) so thinking in terms of OTM. Your comments will be very much appreciated. Thanx much. Of course I intended to mention that I have not forgotten the ER date importance here. This next one comes two days before Jan. expiration. Although I cannot give specific advice about a trade (my legal team will lock me up and throw away the key! ), it looks like you figured it out in comment # 20. In the BCI system we NEVER write a call when there is an upcoming ER. There have been occasions when I have been bullish on a stock (AAPL many times, RVBD more recently) and decided to own the equity through the ER and then sell a call after the report passes (if all system criteria are still met). FCX was one of my favorite stocks a few years ago and generated tremendous returns until the recession of 2008. Check the chart and note the stock drop from $120 to $20 in a few months. Of course I got out (and many other BCIs) as soon as the stock no longer met our system criteria. I can understand your bullish posture on this equity as the chart looks great and the dividend and split demonstrate the bullish posture of the management team. One other thought: Some investors will buy a put to protect on the downside if owning a stock through an ER. This is NOT part of the BCI system but a technique utilized by many conservative investors. We did mention a trade called a “collar” at one point. The concept of the collar is that I sell a covered call and use the call proceeds to buy a put. If the stock drops, I can sell the put for a profit, or use it to sell the stock for the strike price price. If the stock rises, I will get called away and lose the put premium, but the call premium paid for it. It might be a reasonable choice for a position with a large gain you want to protect, but not take and pay taxes on. Generally this won’t apply to a stock you bought last week. From my family to yours….happy holidays to Alan, the BCI team and all my fellow investors. here’s to a lucrative 2011. Happy Holidays to you Alan and the whole BCI family. You all helped me a lot. I wish everybody a healthy 2011 and a lot of successful trades. I want to second Dirk’s comments. This has been a great group to learn and earn. Many thanks for all the holiday well wishes both on and off site. Although I don’t know you personally, I consider this group my extended family and want you to know how much your support and contributions mean to our team. In 2011 we will continue to work hard to achieve our mission statement of achieving financial independence through education and due-diligence. Thank you for the role YOU have played in this total team effort. This week’s report of top-performing ETFs has been uploaded to your premium site. All premium members should have received a direct email to that effect. 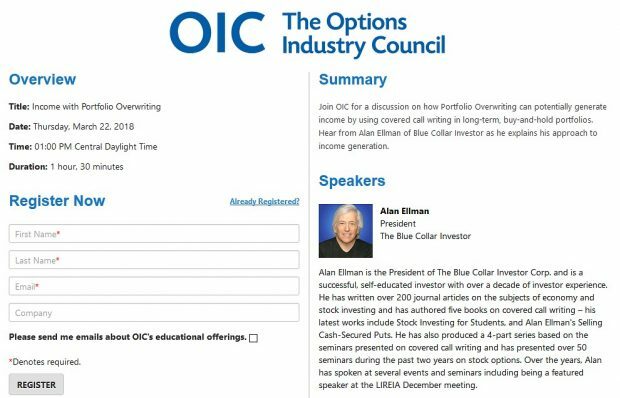 If you are a premium member and did not receive an email, please let me know (alan@thebluecollarinvestor.com) and I will add your name to our premium mailing list. The book is complete and currently being edited. My understanding is that it will take a few months before becoming available. I will send out an email to all those on my mailing list as well as publish information on my blogs when more information becomes available.